Strauss Coffee B.V. (hereinafter “Strauss Coffee”), owned 74.9% by Strauss Group, 25.1% by TPG Capital, have signed an agreement with Cia. 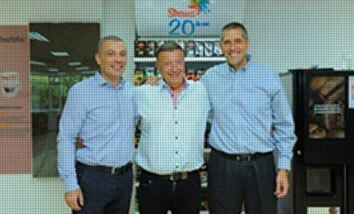 Iguacu de Café Soluvel to acquire the “Amigo” brand of coffee products, sold primarily in Romania. The “Amigo” brand has been well-known in Romania since 1982 and, since then, has spread to other countries in the region. The net revenues of the brand are estimated at approximately USD 12.5 million in 2012 and its volume market share in coffee in Romania is estimated at approximately 1.8% in 2012.